🎹 UPDATED REVIEW COMPARISON - November 19, 2018 - Yamaha Arius YDP143 vs Yamaha YDP163 - Recommended - Yamaha has been producing the Arius series of digital pianos for many years and these models are very popular. The latest models out are called the YDP143 ($1099US internet discount price and the YDP163 ($1499US internet discount price). As with all digital piano manufacturers, when they come out with a "new & improved" model, those improvements are usually fairly significant along with new additional features. In case of the new Arius models, the changes are a bit subtle overall (with one exception), but they are certainly good changes. The Yamaha Piano company has been making acoustic & digital pianos for decades and are one of the most recognizable piano brands in the world. They make a huge line of digital pianos, acoustic pianos, keyboards, and hundreds of other music products including violins, flutes, clarinets, guitars (I own a couple of Yamaha guitars), amplifiers, synthesizers, drums...you name it and they probably make it. I have personally owned a number of Yamaha pianos and keyboards throughout the years and still have a few in my studio including some of their guitars. My kids grew up with Yamaha band instruments and other musicians in my family own and use their products. So when it comes to music it doesn't get much better than Yamaha. But just because a company has a great reputation does not necessarily mean they make the best product in the specific price range you may be looking in. 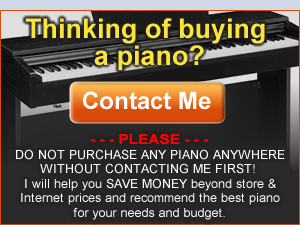 This true for all the major digital piano brands so when shopping around, definitely compare one to another to be sure you are getting the most for your money. I have personally played and examined a variety of Arius models over the years and essentially the new Arius models don't really appear to be different than previous models, and they also don't sound any different to me either. When comparing the Yamaha YDP143 and YDP163, they both use the sound technology of the previous models which Yamaha calls "Pure CF Sound Engine" and that piano sound is a sampled sound from a Yamaha acoustic grand piano. It's a very good sound but when I have played it many times on these Arius pianos I noticed the tone of the piano was more compressed than it should have been. In other words, there was less dynamics and expression as compared to the other brands of cabinet pianos like Kawai, Roland, and Casio in the price range of approx $1000US-$1500US. If you don't play acoustic piano or are not familiar with how those instruments really sound, you might be very satisfied with the piano sound tonal dynamics of the YDP143 and YDP163. After all, these pianos are great at what they do especially as compared to a number of other brands. But in reality, the piano sound (I used their best default grand piano sound on the YDP's) has its limits and unfortunately it comes at the expense of expression and dynamics, in my opinion, as compared to a real piano. Will this limitation become an issue for a piano student or player?...only if you are expecting more from the Arius piano than you are getting. The piano sound is smooth and transitions seamlessly from soft to loud with no unusual bumps or jumps in velocity and tone. But for me, not only do I know what real acoustic pianos are supposed to sound like, but I have played other digital pianos in this price range that are more impressive with regard to tonal dynamics and overall musical expression from the piano sound itself including the Casio AP470, Kawai KDP110, and Roland RP501R. Aside from tonal and dynamic expression, the initial piano tone itself is very pleasant and realistic and I do like it. Yamaha did increase the polyphony processing power of these two pianos to 192-note polyphony...which is up from the previous 128-note polyphony. Although this is not a critical improvement in these new models it is nevertheless a very good one and offers additional room for playing more advanced pieces or when using two independent instrument sounds together at the same time. 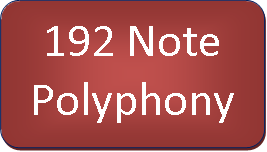 The maximum polyphony processing power in this price range under $1500US internet selling price is 256-note polyphony and only the Casio company has been able to offer that so far. The pedals work quite well too and as with the previous models, the piano pedals offer the same response and movement along with half-damper sustain with the right pedal and pedal resonance when using the damper/sustain pedal which simulates natural piano reverberation especially when playing more staccato notes with the resonance being heard more distinctly in the higher octaves which regular acoustic pianos do. With the half-damper effect/feature, there are different levels of sustain and decay of the piano sound when using the right pedal as opposed to some other brands (secondary or off brands) that only offer on/off pedaling with no additional levels of sustain. The pedals felt fairly natural to me along with the half-damper response and Yamaha did a good job with these features as they have done before. The pedals themselves are full size, have a pedalboard height adjustment wheel, look to be very durable, and can even activate other features in the piano. The key action movement of these two pianos is the most important thing to look for in any digital piano. This is where "the rubber meets the road" in terms of getting (or not getting) a good piano playing experience. Yamaha did not make any changes in terms of the way their key action feels when it moves. The YDP143 is still using (what Yamaha calls) the GHS key action and the YDP163 is still using the GH key action with the simulated ivory-feel white keys and the satin mat black keys which feel great to the touch in terms of the keytop feel. However, for the first time ever under $2000US selling price, Yamaha is offering a 3rd key sensor under each key on the YDP163 which is called the GH3 key action and that action is also available in the higher priced Yamaha Clavinova CLP625 and CLP635 (GH3X). The YDP143 remains the same as before with 2 key sensors under each key, but Yamaha has finally joined the other major brands under $2000 by offering the additional sensor in the YDP163 which allows for faster key recognition, Having 3 key sensors allows for more accurate key repetition when playing keys more quickly so that the piano is responding more accurately with regard to the piano sound you hear. Two key sensors is fine for many people, especially beginners through intermediate. But if you play at a higher skill level you may notice a better repetition response in terms of the key position when playing the keys and how the piano sound reacts to that key speed and position. More sensors means better repetition response recognition and the YDP163 finally has this feature whereas the YDP162 did not have it. I like this key sensor upgrade at this price point and give credit to Yamaha for finally including it in an Arius YDP piano. Other digital pianos at around $1500 which have the triple sensor action are the Casio AP470 and Roland RP501R. Aside from the additional key sensor in the YDP163, I will say something that a lot of people may find surprising, especially given that I like Yamaha music products so much...and that is, I do not personally enjoy playing the YDP163 GH3 key action with regard to the weight of the keys going down...otherwise called "down-weight" or "touch-weight." 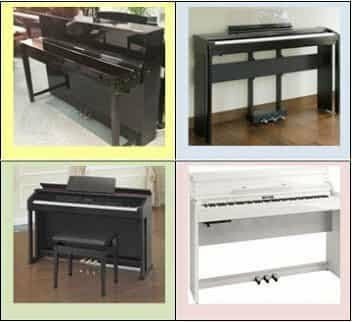 In other words, the keys (both white & black) are too stiff and hard to press down as compared to most other good digital pianos in this price range and as compared to many good grand & upright acoustic pianos. OK...some people may call me too critical on this issue but when I try to play a slow and soft musical passage on the keys, it takes more finger force to press the keys on the YDP163 than I like...and this can lead to not only finger/hand fatigue, but also to not being able to have a flowing, easy to play song. I have commented about the GH/GH3 key action for years in this way and still nothing has changed in the Arius or Clavinova pianos that use the GH/GH3 key action. For other people, this key action issue may not bother you at all and you may even prefer it. But for me, I am not very fond of it and would recommend other new digital pianos in this price range with regard to the key action. What's interesting is that Yamaha does make some "better" key actions in their more expensive digital pianos such as the digital piano CLP685 which has "counter-weighted keys." The key actions themselves on both models are constructed well, are sturdy, and the keys are quiet when moving up & down...and all these things are very good to have. The YDP143 still uses the lower cost GHS (Graded Hammer Standard), which I actually like better than the more expensive GH3 key action in terms of key movement and down-weight. It moves a bit quicker and is a bit lighter in certain ways and the action itself is the same action that is in the less expensive Yamaha P45 and P125 portable digital pianos which is the 2 key-sensor, non-ivory feel, and is not as quiet as the GH3 key action. So the YDP143 key action does have its own downsides but overall I like it and the construction and durability of this GHS key action is quite good and has been for many years. The piano sound and pedaling on the YDP143 is the same as the YDP163 which is good but still lacks in the dynamic tonal range for piano sound that I have mentioned. Either way, the Yamaha key actions are much, much better than any of the off brands out there so don't be fooled by significantly less expensive off-brands such as Williams, Artesia, Suzuki, etc...Yamaha wins "hands down" every time. The overall digital features when comparing both pianos are like other digital piano brands in this price range, but they are certainly acceptable. However, there are a few newer features on these models which are especially impressive to me. Both YDP's have 10 instrument sounds each including 3 grand pianos, 2 electric pianos, harpsichord, vibraphone, pipe organ, jazz/pop organ, and strings. All of the instrument sound are good and I enjoy playing them and you should like them a lot too. Ten sounds are definitely not much to offer, especially compared to other digital pianos in this price range ($1000US to $1500US internet price). But for people looking more a piano that just has the basics with regard to instrument sounds, then the YDP's would work well in this way. Although I like all of the sounds on these pianos, I am not impressed with the strings sound (which was also on the previous model), and I am a big fan of good string symphony sounds. The other major brands in this price range offer much more realism of the symphony strings in my opinion, especially the newer Casio's such as the Privia PX870 and Celviano AP470 which are excellent with symphony strings realism. Any of the instrument sounds on the YDP's can be combined as a layered (Dual) sound when playing a song and that layered sound can be heard on each key. However, on the layered (Dual) sound such as piano/strings, the sustained tone of the strings fades out along with the piano when combined, and I have never liked that aspect to the Yamaha layered sounds. When real strings are playing along with piano, those string sounds do not decay (fade out) like piano sounds do...they continually sustain as long as you desire and play them. The other brands such as Roland, Kawai, and Casio all are able to recreate sustained layers in the preferable way while holding down the damper pedal whereas the Yamaha Arius pianos cannot do this with normal damper pedal playing. Will you or anyone else care? ?...maybe, maybe not...it's not a deal-breaker but for someone who loves to layer non-piano instrument sounds incl strings, choir, organs, etc, and knows what it should be like using the damper pedal, this could be a let down, but in the big picture probably won't make a difference to most people. There is no type of "split" function on these pianos so you cannot put one sound on the left hand and a different sound on the right hand like other digital pianos can do in this price range.The YDP's offer the Duo setting where two people (siblings, parent-child, etc) can practice at the same time with the same song and both sides of the keyboards are set with the same octaves...one person playing on the left side and the other person on the right side. This is an effective feature when needing something like this, but if you will be playing or practicing on your own, then this Duo feature is completely unnecessary. Like the previous models and most other brands of digital pianos, both the YDP143 & YDP163 have other features such as 3 levels of touch response which is where you can make the piano sound come in more or less quickly when playing the keys, 4 types of reverb effects which adds a reverb/echo sound and gives the overall piano sound more depth, an adjustable digital metronome for rhythm/timing which is important to have, a 2-track MIDI recorder which allows for recording both hands, one at a time, and then play along with one recorded hand or playback both recorded parts and play along with the same or a different live sound. This is fun to do and helpful with practicing a new song or just "jamming" along with yourself:). You can adjust the playback speed of the recorded song although you can only save 1 song at a time. 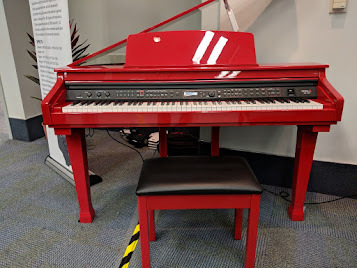 However you can load in up to 10 (basic) MIDI songs from the internet into the piano memory but you need to connect to a computer with a cable so it's not entirely user friendly or intuitive and there is no USB flashdrive on either model to accommodate easier transfer and storage of songs. The control panel on both of these models is very simplistic and minimalist in look and operation which is both good and and not so good. The bad part is that like other digital pianos which use this type of interface, there is no user LED/LCD display to easily see what's going on when you choose a sound or function and you need to refer to the owners manual all the time to use the functions and know what's actually going on, even using some of the basics...which can be a big pain in the...:). On some digital pianos the control panel has more buttons, is located in a different place, and/or has markings or feature names above the keys indicating which key to press when you want to access or change a function or feature. So there are digital pianos which are much more intuitive to use than the YDP models, even without a display screen. Once again, the Casio PX870 or AP470 digital pianos would be more intuitive to use than the Arius models in that way. However, for the 1st time ever in the Arius models, Yamaha has designed a free iOS app (iPhone/iPod touch/iPad) specifically designed to control many of the YDP functions from your external device through this innovative and very easy to use app. This means that the limitations of the minimalist control panel on the left side of the keyboard just got a whole lot better because this app on your iOS device makes using and selecting the instrument sounds and many of the functions a breeze to do. I tried it and it works great, super easy to figure out, the app graphics look great, and makes the interaction with the piano functions a lot more fun. Congratulations to Yamaha for getting this done and making it available on the new YDP143 and YDP163 which the previous models did not have. If for no other reason, this app makes the new models vastly superior to the previous ones, so even if you see a previous model for a lower price because it's discontinued, if you have an Apple iOS device, then these new Yamaha models are the way to go as compared to the previous ones. This controller app is not available for Android, so if you have that kind of device then you are out of luck when it comes to this controller app. It's also good to know that other USB/MIDI apps from the iOS app store also work with the new YDP's and allow you to access other fun things including piano lessons, music sight reading lessons, music games, and all kinds of other music/piano related content that you can control from the piano. The other brands of digital Pianos that offer USB/MIDI connection can do all the 3rd party apps too so Yamaha is not exclusive on that content. A few of the cool things the app can do is allow for access to all 10 of the instruments sounds as well as being able to layer an two of them together. This is done from large visual pictures of the instruments and you just touch the instrument and you get it on the piano...simple. You can select changes in the reverb effects, transpose the key you are in, select the Duo function and easily change some of its parameters, you can easily use the digital metronome as well as song recording and play features. You can also access the pedal damper resonance control, touch sensitivity level changes, and even change the tuning of the piano...all from the very limited and not something I recommend as being user friendly. In terms of controlling the features of the piano, Yamaha is the clear winner in that race...as long as you have an iOS device which is the "key" in this case. Just so you know, the Yamaha app does not make the new pianos sound any better, but instead they just function better. Roland also has an iOS app for their RP501R digital piano ($1599US internet price) and although it's very good, in some ways it does not measure up to this new Yamaha app. Casio has a brand new iPad app in this price range called Chordana and it makes the Casio Celviano digital pianos very easy to use and even more intuitive with more control options than the Yamaha YDP app. Regardless, apps are cool and they do make the user experience more fun and more satisfying in my opinion, especially if you want to take advantage of all the digital piano features that otherwise may be more difficult to use without the proprietary controller iPad/Android app. As for other things that are important to know about these models, the speaker systems in both the YDP143 and YDP163 remain the same as in the previous models. The YDP143 both have 2 main speakers each but the amplifier power in the YDP143 is just 12 watts total (2 x 6 watts stereo) whereas the amplifier power in the YDP163 is a beefier 40 watts total power (2 x 20 watts each stereo) so the depth and bass response on the YDP163 is noticeably upgraded over the YDP143. Both models are plenty loud, but it's the fullness of the sound through the internal speaker system that lacks somewhat on the YDP143 as compared to other digital pianos in the price range. As a beginner you may not notice this at all but if you have played for awhile then you'll want a more powerful speaker system. Yamaha slightly reduced the power consumption of these new models over the previous ones which already had low consumption, which is a good thing, but not by much. When you don't want the piano sound to be heard and want to play in privacy, these new models have a new headphone feature called "Stereophonic Optimizer." Simply put, this feature optimizes the headphone sound (any good pair of headphones will do) so that the sound itself seems to coming out from a slight distance within the headphones (to simulate a real room experience) rather than sound like it is coming directly into your ears. A similar feature is also available on Roland digital pianos and it's a pretty cool concept and a welcome addition to these models. However, the sound is still quite good through good quality headphones without that feature, and this is true for the other digital piano brands. Besides being able to plug in headphones, you can also connect to a laptop computer or smart device with a USB/MIDI output by way of a USB cable. This is a very good feature and was also on the previous models. However, there is no external audio outputs or inputs which is something I was hoping to see on these models. Yamaha probably did not think it was that important to have those connectors but I can tell you that I, for one, would like to have seen them, including a stereo audio input mini-jack to connect external device audio...a feature lacking in some of these lower priced digital pianos. In the final analysis the new Yamaha YDP143 and YDP163 would be Yamaha's "bread & butter" digital cabinet pianos. They are in that popular $1000-$1500 price range and have a very nice cabinet pedestal design, but I would have preferred to see front support legs on the cabinet, especially on the higher price YDP163 like the Yamaha CLP625 has, but it would have no doubt cost more money to produce. Both models are offered in 2 colors; an attractive satin black and satin rosewood cabinet along with a built-in sliding key cover and a matching standard height padded bench. Both models come with a 3 year parts & labor factory warranty which is quite good and based on my personal experience I have found that the major brands such as Yamaha have very few service issues with their digital pianos because they are built so well. However the Yamaha 3 year warranty does not include "in-home" service unless you are willing to pay the service technician's travel charge to the home which can be $100 or more in some cases. Also, if there is no service tech anywhere around your area who is willing to drive to your home, then you would be responsible for boxing up the piano properly and shipping it back to a Yamaha service department and you would be responsible for the cost of that shipping going out. However, Yamaha will pay the shipping cost coming back to you. Either way, the warranty is not "all inclusive," but hopefully you'll never need to use it. Just be sure you keep your original piano box or you may have issues when it comes to shipping the piano if that needs to be done. 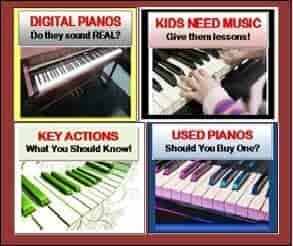 As far as for me personally, as I mentioned earlier, the key action moment and key weight along with the piano sound dynamics is what is most important to me in digital pianos and is what any shopper should consider as the most important aspect of buying a new digital piano. 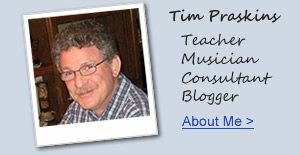 I play real acoustic upright and grand pianos and do it often enough to know the differences and am able to easily sense when a digital piano meets my expectations as far as my own personal playing enjoyment but even these lower priced digital pianos need to have good piano playability so that students can progress in their music properly and piano players can enjoy their playing experience. The new YDP's have not changed in the basic ways from the previous models when it comes to piano tonal dynamics...especially when playing with more forceful expression (fortissimo) and needing a higher degree of tonal change (dynamics/expression) which they just don't have as compared with a real piano. With the YDP143 having the same key action as before along with the same heavier key action (in terms of down-weight) in the YDP163, this is where their pianos are lacking, at least they are for me. However for many people who may not have higher expectations or don't play at all, they can likely be happy with these new models and enjoy them. The overall piano Piano "tone" is quite nice although (as I mentioned) not near as expressive as I would have liked. All the "bells & whistles" including iOS apps cannot take the place of having a great key action, realistic and dynamic piano sound, and smooth pedaling, and those fundamentals should come first over anything else, regardless of the piano brand and model. I do recommend these new Yamaha digital pianos models and they should be very nice instruments to own for many years. Do your homework and research and then contact me before you make any buying decisions as I will be happy to personally help you. Hello, thank you for this wonderful post, it was really helpful.. I am confused between yamaha ydp 163 and roland fp-50, what do u think? Hi, I am wondering if there is a big difference between the performance of a yamaha p115 and a yamaha Arius Ydp-143. Any comments? The Yamaha P115 is a nocticeably better piano in many ways. However, the YDP143 obviously has the upgraded more traditional cabinet that comes with bench. How is the P115 better than the YDP143? They've got almost the same characteristics. GHS + Pure CF sound engine + similar features.